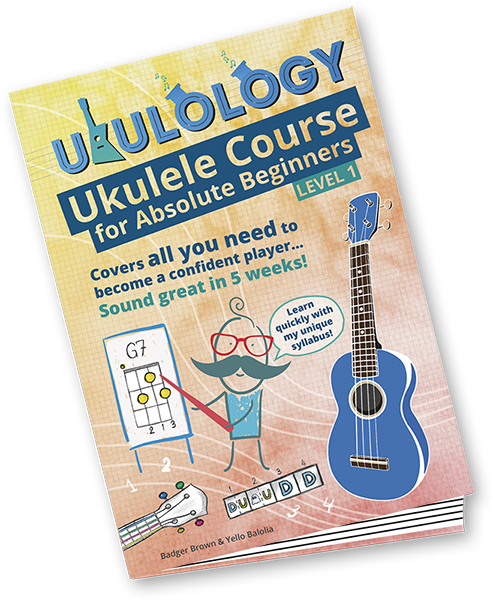 The D chord on the ukulele is one that most players come across quite early on when learning, and it can be quite tricky. 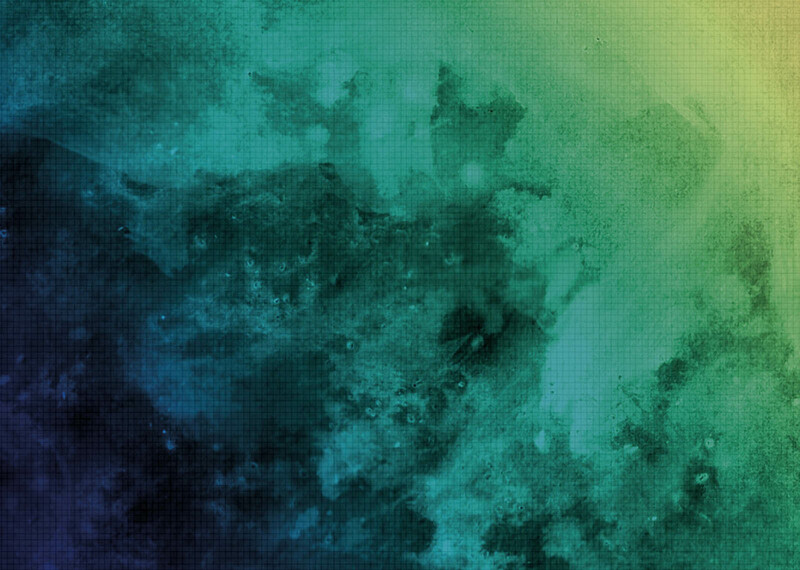 Here are a few tips that might help. As you can see, the D chord on the ukulele involves holding down three strings all at the second fret. If you have a soprano-sized ukulele, then it can be a bit of a squeeze. First of all, have a look at your left hand position: If you are holding the neck with your thumb wrapped around, and the neck is resting in the crook of your thumb, you might find it hard to get your fingers in position. Try placing you thumb on the back of the neck, and lifting the neck out of the palm of your hand, so that just your thumb and fingertips are in contact with the ukulele. Ensure your left hand finger nails are short, otherwise you will not be able to press the strings down effectively. But if not you can use one finger to hold down two of the strings and another finger to hold the third. There are lots of combinations! 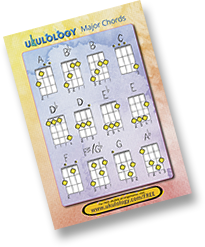 Alternatively, try this different shape for D chord on the ukulele! If you’re having trouble, try changing your hand and arm position. You should be relaxed and comfortable. Don’t squeeze too hard! You shouldn’t need to if your fingers are all carefully placed. It will just make your hand tired and slow you down when you come to change chords. 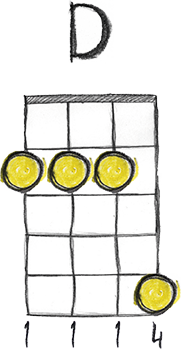 Learn more than one way of holding down a D chord on the ukulele. You’ll find that depending on the chord before and the chord after, one way might be easier to get to than another. 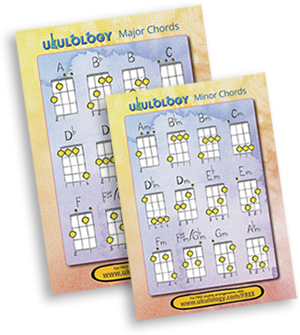 Simply fill in the form to receive the major and minor chord charts, strumming patterns, songs, backing tracks and more!